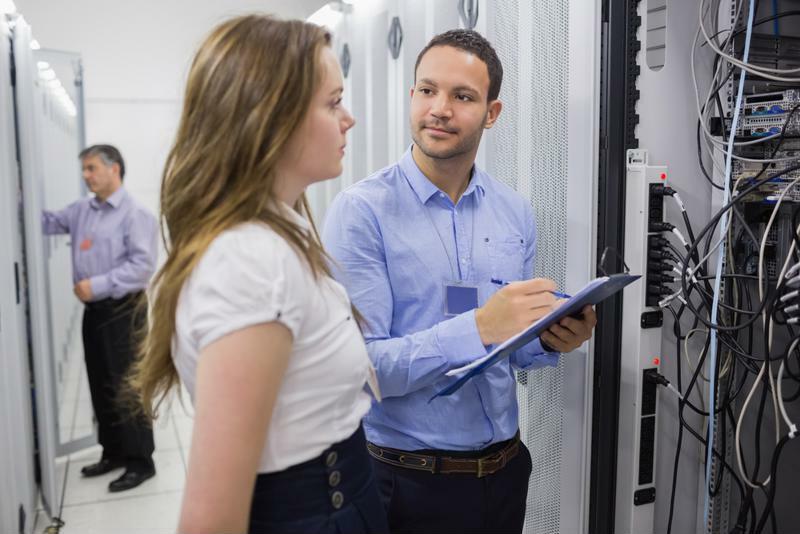 While the technology has been around for a few years now, many businesses are just beginning to realize the advantages a software-defined approach can bring to their enterprise WAN. 1) What does the organization hope to achieve with its SD-WAN? First and foremost, company administrators and IT teams must examine the current WAN structure and identify the points where the infrastructure is lacking. This will help decision-makers determine the desired outcome when it comes to the new SD-WAN solution. SD-WAN technology can offer a range of benefits in an enterprise setting. But before deciding to invest in an SD-WAN, a company should determine what its priorities are and what it hopes to achieve. For example, many people choose to deploy an SD-WAN in order to incorporate Internet links into their WAN, thus increasing bandwidth. So if current or future demand for bandwidth is a priority, then it’s important to seek out an SD-WAN solution that includes the ability to create enterprise-class WAN links from public Internet connections. If network outages are currently affecting productivity, then an SD-WAN solution with instantaneous failover without session interruption might be a priority. And if a business is anticipating rapid changes to their infrastructure, such as acquiring new companies or opening new offices, or to its application mix, then prioritize an SD-WAN solution that allows changes to occur rapidly and easily. Only by evaluating in advance what a company hopes to achieve with its SD-WAN can it select the right solution and evaluate its success. 2) What existing and planned technology will need WAN support? TechTarget contributor Paul Kirvan also recommended factoring in not only the applications the business currently uses, but also those that it plans to roll out in the near- and long-term future. SD-WAN solutions offer the ability to prioritize traffic to ensure that the most critical applications have the support they need to function correctly. Therefore, it’s important to understand which applications will be considered critical and which will draw more bandwidth resources than others. These considerations should extend not only to applications and virtual environments, but the company’s physical infrastructure as well. IT leaders should examine the network equipment like routers and switches, as well as the end-user workstation components. This overall network layout can be considerably helpful when it comes time to deploy the new SD-WAN appliance. The IT team should examine the current network infrastructure before implementing SD-WAN components. 3) Can the solution meet the necessary requirements? The ability to actively utilize public and private WAN links at remote site and branch locations. The ability to install physical or virtual customer premises equipment (CPE) on commodity hardware. A secure hybrid WAN architecture to enable application policy to govern traffic engineering and prioritization across WAN paths. Overall visibility of critical and real-time applications according to the firm’s security, corporate and compliance policies. A robust and accessible hybrid WAN that allows for excellent application experience. Layer 2 and 3 interoperability with switch and/or router components. Performance-level dashboard reporting for sites, applications and VPNs. An open API to enable controller access and management and log event forwarding. The ability to enable remote branch-site deployment on connected infrastructure with little to no configuration adjustments. FIPS 140-2 validation certification to enable encryption or cryptography modules for life cycle management and reporting. In addition, ONUG suggests examining the solution in terms of its scalability, efficiency, reliability, integration, security and manageability. 4) Where should we begin? After taking a look at the existing WAN infrastructure, the goals the business hopes to achieve and the necessary requirements needed from the SD-WAN solution, administrators may be wondering what the next step is. Before adopting an SD-WAN solutions, it’s important to understand exactly how the technology will work in relation to the company’s architecture. For a custom demo of the Software Defined THINKING WAN solution, contact Talari today.